Our Rep will meet you in hotel early in the morning to pick you up and travel in private AC van to Luxor. Arrive first to the majestic temples of Karnak the biggest cult place in ancient world history, this temples complex began very early over 2000 years and various additions been made generation after generation. 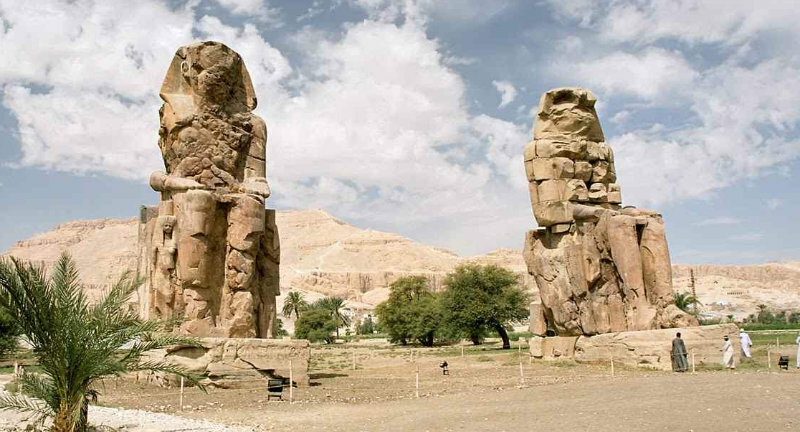 Continue to the famed Luxor temple, built and devoted to the sun god Amun the head of Theban Triad with is wife Mut and their son Kاnosu, you will get your lunch in local restaurant before crossing the Nile to explore the West Bank of Luxor. Pay a short visit to the two Colossal status of Memnon, the guards stand in front of the ruined funerary temples of king Amenhotep III, proceed to Valley of Kings,it is the top attraction of this day where 62 tombs for kings of New Kingdom were carved deep into mountain rocks, all are live with wonderful colors and decorations. End the day at Al Deir Al Bahary temple of Queen Hatshepsut the powerful female queen and a daughter of king who ascended the throne of Egypt for about 20 years. End the day traveling back to Marsa Alam.